Crispy latkes taste just right. 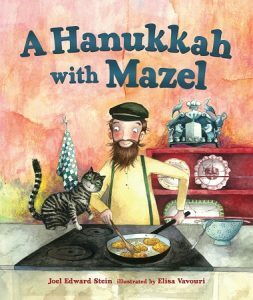 Debut picture book author, Joel Edward Stein, introduces readers to Misha, a kindly but poor artist who discovers a hungry cat in his barn that he names Mazel (Hebrew/Yiddish meaning luck). Misha share the little bit of milk he has with his new feline friend and together the companions celebrate the start of Hanukkah. 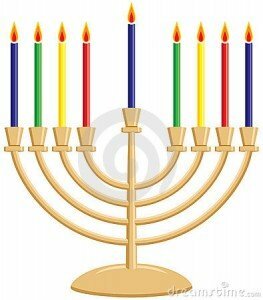 Despite having no money to Hanukkah candles, the artist comes up with a clever way to light the menorah. He’ll paint the candles on a canvas! Soon he even runs low on paints, but not before reaching the eighth and final night of the holiday. Just then a peddler arrives and, as fate would have it, he turns out to be Mazel’s owner. 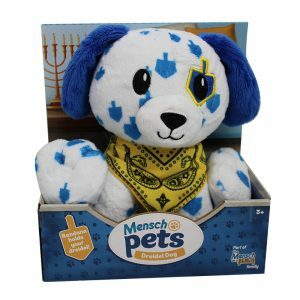 But rather than reclaim his pet, this beneficent traveling merchant has a plan to make everyone happy while delivering some much needed Hanukkah luck. 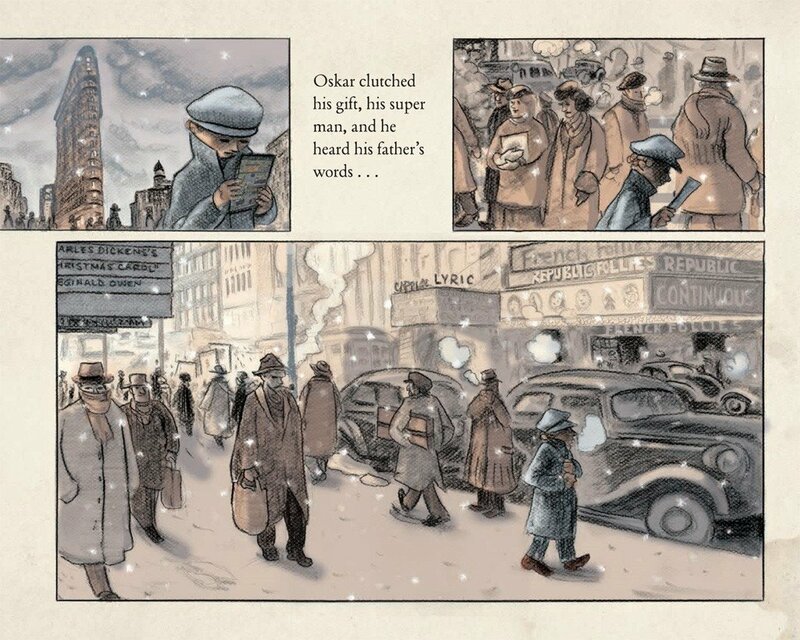 Vavouri’s watercolor illustrations, convey a folkloric feel while also accurately depicting Misha’s hand-to-mouth existence in an old Eastern European Jewish community called Grodno. 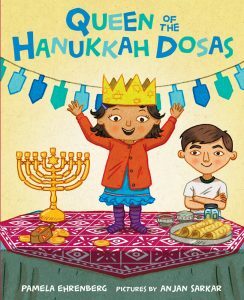 Written with care, A Hanukkah With Mazel is flawless storytelling that is beautifully presented. 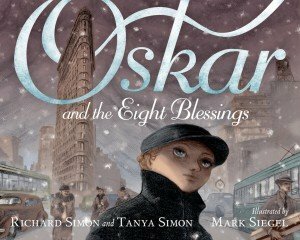 It’s not only heartwarming with its surprise happy ending, but certain to become a timeless treasure for families to return to every holiday season. The townspeople of Chelm, a storied village from Jewish folklore, wonder how they should properly thank the Mayor of Lublin after receiving the gift of a giant menorah on Hanukkah eve. Although everyone seems to have an idea that befits the prestige of mayor, nothing ends up turning out well. Latkes that are cooked for the mayor get eaten before they’re even given to him, pristine Chelm snow melts into water, and a beautifully carved dreidel points Yitzi’s father Avrum in the wrong direction so that he never makes it to Lublin! 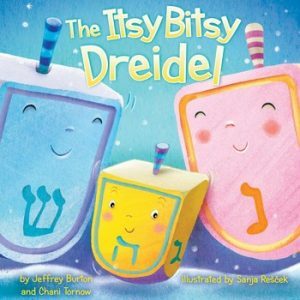 While all this is playing out over the first seven nights of Hanukkah, no one is paying attention to Yitzi who believes he has figured out the ideal way to thank the Mayor. When at last all options are exhausted, Yitzi’s thoughtful idea is a treat for everyone to behold, especially the Mayor of Lublin. There, atop a steep hill, the frail old man had to stop when he heard music floating in the air from afar and dancing lights shone in the night sky. 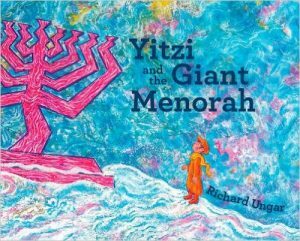 “Something on a distant hill filled his heart with joy.” Between the easy to follow story (its variety of interesting characters makes it a terrific read-aloud) and the vibrant water color and colored pencil artwork, Yitzi and the Giant Menorah is a welcome addition to the Hanukkah books available for families to enjoy. 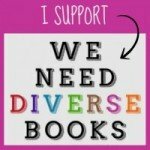 For your tweens, don’t miss my review of Dreidels on the Brain, another great read to buy this year. 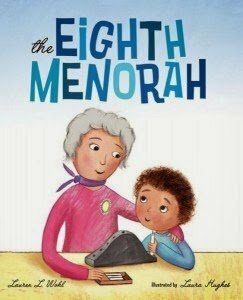 Hanukkah in Alaska, by Barbara Brown with illustrations by Stacey Schuett (Henry Holt and Company, $16.99, also available in ebook, ages 4-8 ), is reviewed by Ronna Mandel. 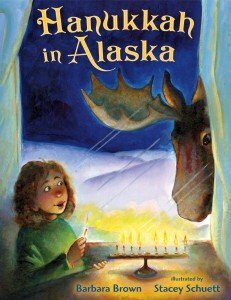 Hanukkah in Alaska by Barbara Brown with illustrations by Stacey Schuett, Henry Holt and Company, 2013. Living in warm and sunny southern California, I was curious to find out if celebrating Hanukkah is any different in our 49th state. 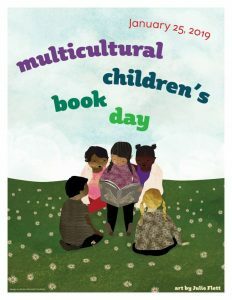 What I learned after reading Hanukkah in Alaska was so interesting that I’m certain your children will feel the same. 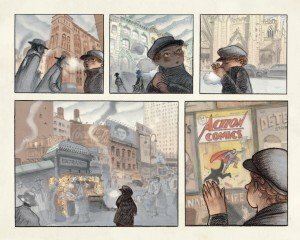 Illustrator Schuett’s muted tones in her acrylic and gouache artwork set the scene of a freezing, snowy winter where a little girl is peeking outside, “making sure there are no moose around.” That could not be any more different from out here in L.A. where residents’ vigilance is devoted to looking both ways for the ever present automobile. 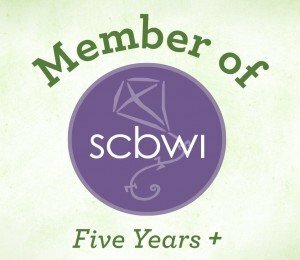 We understand about the snow and the sub-zero temperatures, but with author Brown highlighting the presence of moose from the onset, readers can immediately tell they’re about to read something very unique. 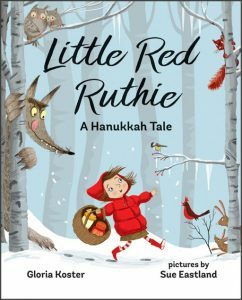 The story unfolds during Hanukkah and centers around a little girl’s concern over the moose who’s taken a liking to her backyard. “He sleeps in our yard and eats our trees.” No matter what she does to try to get him to leave, the big antlered moose continues to inhabit the yard posing a threat to the girl’s blue swing. Why the swing? Because it’s attached to the tree he likes to nibble on. As the little girl narrates the tale, we learn that children in Alaska are taught to be wary of moose in certain situations. When playing outside in winter, if a moose comes along, “we have to hug a tree.” These big powerful creatures can cause tremendous damage with their antlers and their kicks so a child can never be too young to learn. I also learned that people who don’t live in Alaska live “Outside.” And because of its northern location, Alaska has very little daylight in winter making it an ideal environment for moose, but no for worried little girls. 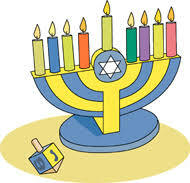 So where does Hanukkah fit into this cold climate? 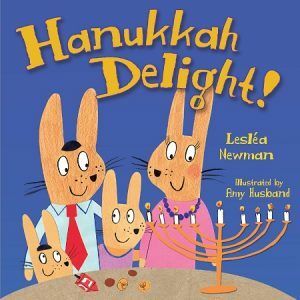 When lighting the menorah every evening, it’s hard for our narrator to ignore the moose outside her window. One night her dad suggests they head outside to look at the night sky. 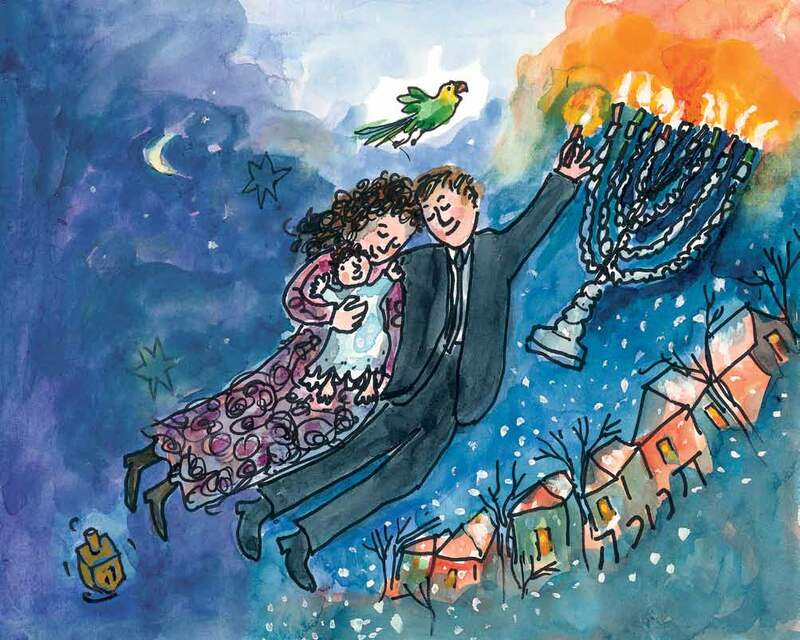 There, spread out before their eyes, the family witnesses an amazing array of colors, “swirling and shining and glowing.” The northern lights or aurora borealis happen “only when the sky is just right.” The dad tells his daughter that they have their very own Hanukkah Festival of Lights. But despite the beautiful distraction, reality clicks in when the moose begins yanking on the swing. Everyone looks on horrified, but suddenly the little girl is struck by a delicious, Hanukkah themed idea for how to get the moose out of the backyard. 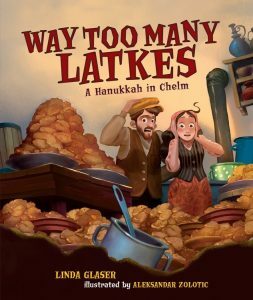 The satisfying (in more ways than one) ending to this charming Hanukkah story proves that miracles (like the miracle of Hanukkah itself) come in all shapes and sizes, some even edible!! 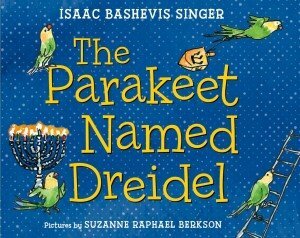 An end page featuring an Author’s Note explains the phenomena of the northern lights and the history of Hanukkah so that the picture book is both accessible and enjoyable for both Jewish and non-Jewish readers.